Well, I did lose some steam last night & my sewing room was such a mess that I couldn't even find my scissors! After I cleaned up the mess from the start of the week I was pretty beat. 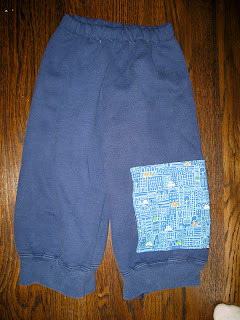 Enter the Kickin' Back Sweats from Sewing for Boys! I had seen these cuties on flickr and decided it seemed like an easy pattern to attempt. Plus the note on that picture indicated it came together quickly. Boy, did it! I actually chose an old sweatshirt from my high school days that was so nice and warm and huge I just couldn't part with it. I think in high school it was a hand me down from my dad. I remember being very impressed that it was Polo at the time. I haven't worn it in years, so I decided it was a waste to sit in my closet. 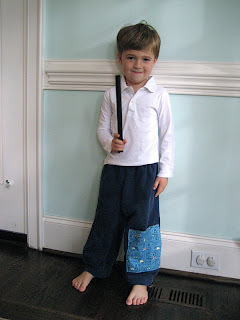 I used the bottom hem of the shirt as the pants legs, partly because I did not have enough fabric not to. I made the size 2/3 which ended up fitting 4.5 year old Jack. My boys are scrawny I guess! 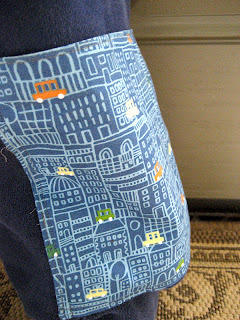 As complicated as yesterdays pants were from the same book, these were sewn in about 10 minutes after I cut out the 2 (!) pieces. Don't get me wrong, I love a pair of nicely finished pants, and the pants yesterday are well worth the extra time, it was just a night where I needed an easy project and these sure fit the bill! Jack loves the big pocket (good for all sorts of boy things, like pretend weapons) and actually is going to tell his class about them for show & tell today - ultimate sewing success! 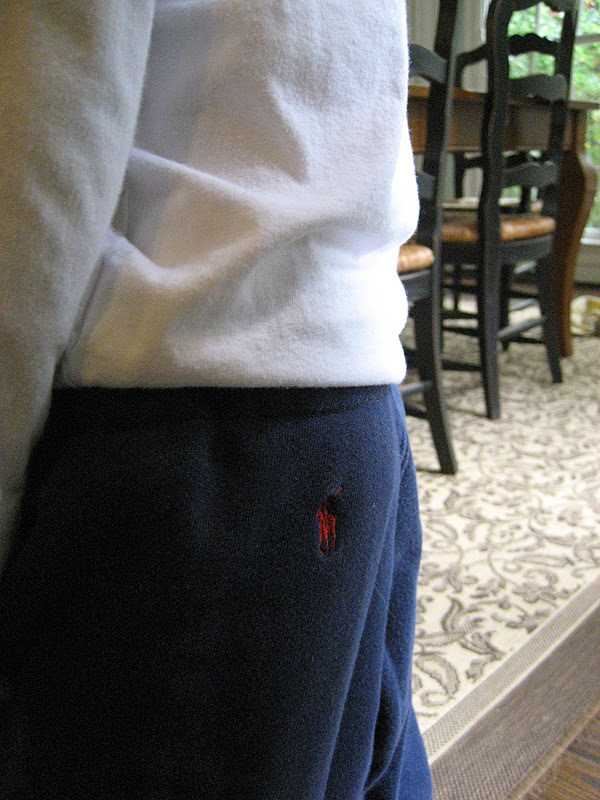 I love how the polo pony logo ended up on his little bottom! How is KCWC going for you? Still in it? I've got a few ideas for the rest of the week, let's see if I can get them executed! Another photo that I had to stop by your blog for. These are so cute, I love the pattern name and they just look so super comfortable. 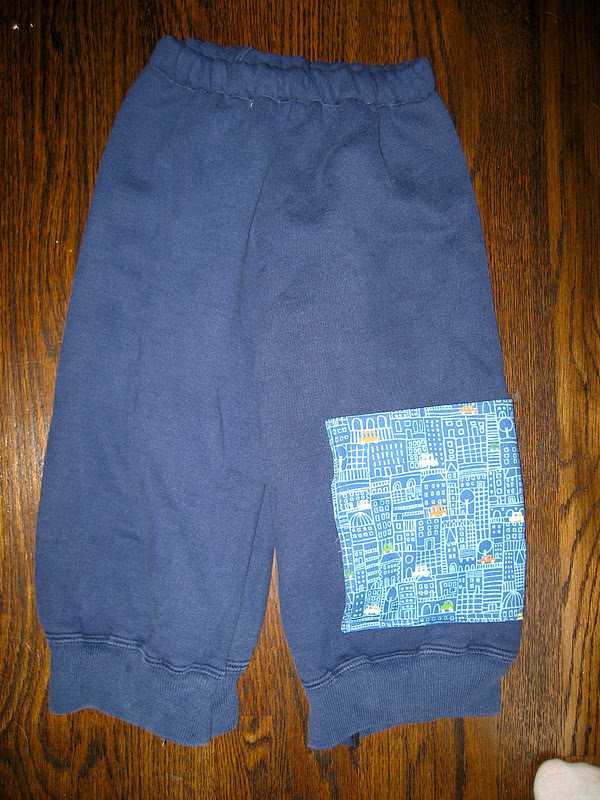 I recently made three pairs of sweatpants for my son out of sweatshirt sleeves, but two of the pairs were never quite long enough. 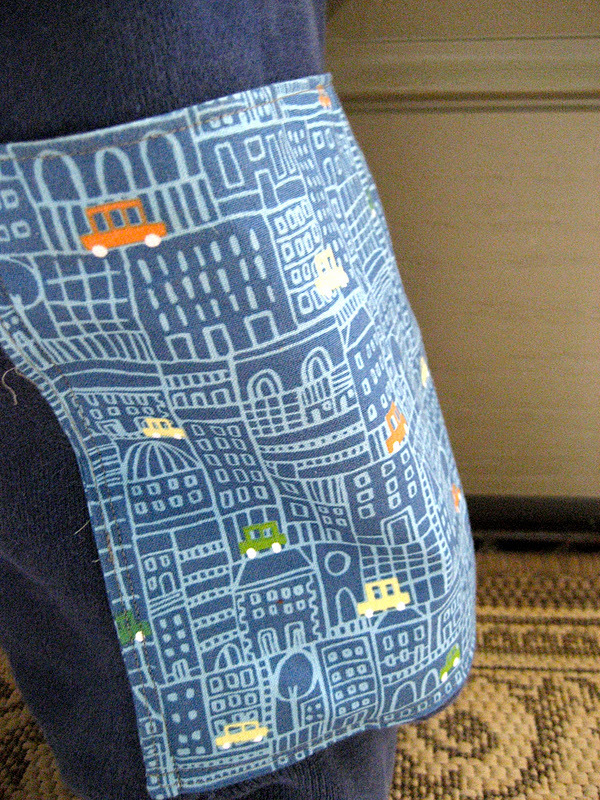 Just your sewing projects alone have convinced me that yes, I need the Sewing for Boys book! It just seems like such a steal and I already adore the Tee for Two pattern. Great job!